As an individual, I have learned and still learning the act of saying No to people. I have lived with the consequences of my “Yes” (so many times) and the blame and torture that resulted from my response. There were times my boss will request that I do something in which I do not agree with (this of course are request that are out of my job description which I don’t mind sometimes but NOT EVERY TIME), without a doubt I have been saying yes most of the time and he just expected me to agree with him at the expense of my own peace and convenience. My yes was merely because I wanted to go extra mile to please him. I soon realized that saying yes all the time bothers me so much and the instance I said ‘yes’ my mood changes. I also realized that I need to be bold to say NO whenever I strongly believe that my yes response will be at the expense of my own peace. We often lack the confidence to simple say “NO”. I am also speaking to myself when I say this; we often think that we are hurting others and that people will perceive us as unfriendly or hostile. Not having the confidence to say ‘no’ can have detrimental effects on our personal life. For example, at work (just like the scenario above ), we end up taking on too much than we should have and suffer at the end of the day because we are unable to do our job well and also as a result we are having less time with family, our work life balance will eventually be in jeopardy. REMEMBER; God first, then yourself and others can come into the picture. Please understand that you have your own choice and freewill as an individual to make yourself happy and also be contented with whatever decision you made. A confident person says No when they need to. He or she endures people’s displeasure and is able to reason that if the disappointed person truly wants to nurture the good relationship they already have, they will have to get over their disappointment and respect their decision of saying NO. Challenge yourself to say NO in order to say yes to yourself; otherwise you may end up bitter, resentful, angered and in the middle of losing yourself entirely. 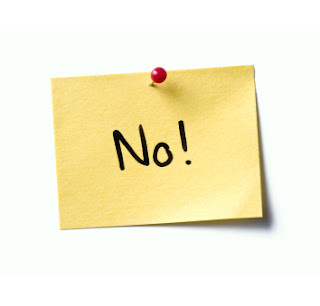 Saying NO will minimise your stress, it will command a certain respect from friends, colleagues and family. People will be less likely to take advantage of your good heart if they know that you may be inclined to turn down their demand. Be assertive, be kind and firm with what you want. You must dare to stand for what you belief. Confidence in saying ‘No’ will give you the liberty to go after every YES your heart desires. Remember, YOU are in control. You have a choice whether to say ‘yes’ or ‘no’.